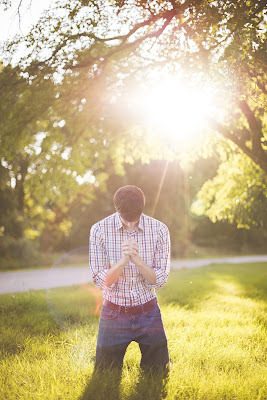 As a person in ministry prayer is something you are supposed to be good at. Or so it often seems. Everyone expects you to lead in prayer. People might ask you for tips on how to pray. The Bible says a lot about prayer and its importance. The word pray or a form of it appears in the NIV 367 times. As a comparison, the word kind or a form of it appears 250 times. Any Bible student ought to understand that to be kind to others, especially your enemies, you must pray, a lot! Somehow, in our instant culture, our prayers often stop at the drive-through order window. We place our order and pull ahead before hearing the price. We ask or tell God what we need but we don’t take time to listen. Prayer is an essential skill to our ministry and our own salvation. Jesus prayed often and for long periods of time. Prayer is a skill you should be actively seeking to develop. There are numerous books written on prayer. If you have one already maybe it’s time to dust it off and reread it. Or check out the latest ones at your local Christian bookstore. In the meantime here are a few key steps to develop this essential skill. 1. Start by setting aside time to pray daily. I like to set an alarm to remind myself to pray at a certain time in the morning (any time is fine). Then I set a timer and pray until it goes off. This ensures that I don’t get distracted or quit early because I remembered something I need to do. This simple step has revolutionized my prayer life. I often find that I want to keep going after the timer is up, and sometimes I do. 2. Pray with a format. Use your favorite prayer in the Bible as a template for your own prayer. For example: Psalm 51, Colossians 1:9-14, or 1 Kings 3:5-15. Alternatively, pray using an acronym that is easy to remember such as A T.A.C. which stands for A Thanks, Admit, Commit prayer. 3. Keep a prayer journal. This is a great method used by many devout prayer warriors. It provides reinforcement for the power of prayer by creating a record that you can go back and look at. Additionally, experts note that it is easier for some people to express their thoughts by writing rather than speaking. 4. Pray as Jesus did. Reread the Lord’s prayer and other prayers of Jesus recorded in the Gospels. Follow His example remembering to begin with praise and thanks. No one likes it when you just come up and ask them for a favor. We are made in God’s image so I’m sure he prefers more than just requests. Be sure to model this when praying in public, not for display as the Pharisee in Luke 18:11, but because that is how you genuinely pray. Also, it will benefit your hearers as they learn by your example. Remember that prayer is a skill that we should actively develop as we seek to minister more like Jesus. It is oh so easy to pray real quick out of habit or just when we need things. Start today by praying purposely for Jesus to revive and grow your prayer life. To read more on this check out one of these great book: Too Busy Not To Pray by Bill Hybels or my personal favorite Christ's Way To Pray by Dr. Phillip Samaan.